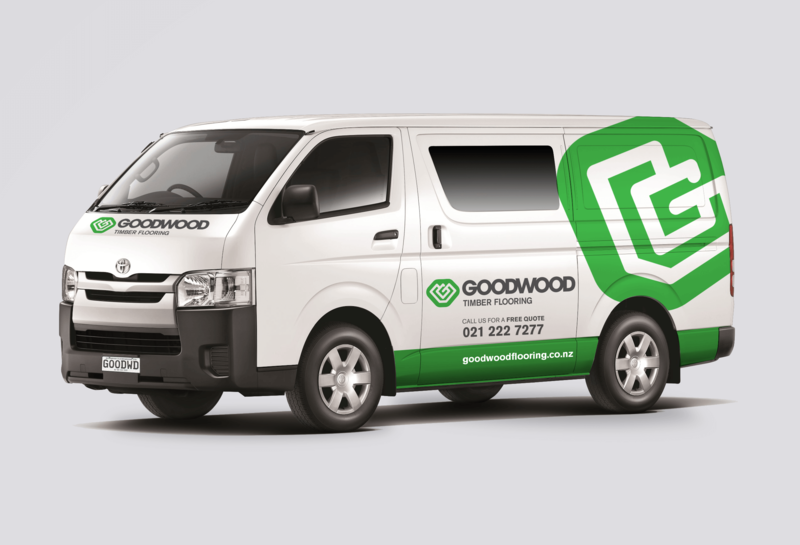 Goodwood Timber Flooring specialise in all areas of timber flooring to both residential and commercial premises. 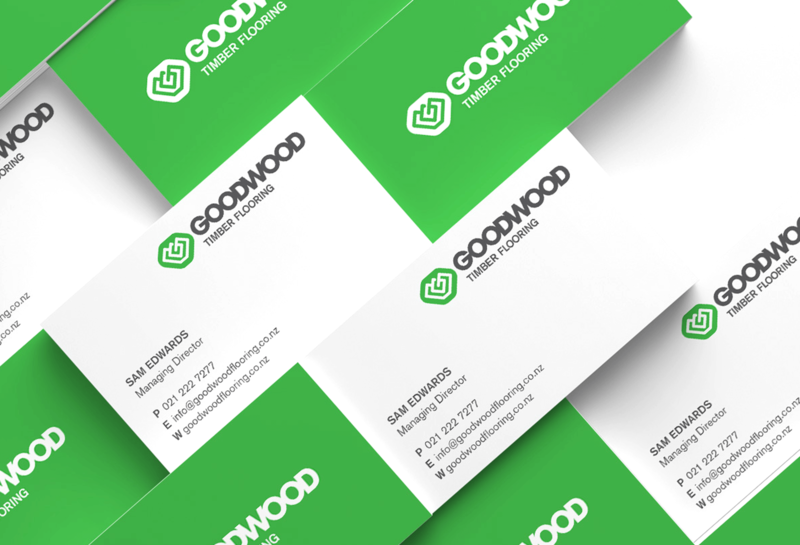 They wanted a brand that reflects their high standards, quality workmanship and reliable expertise. 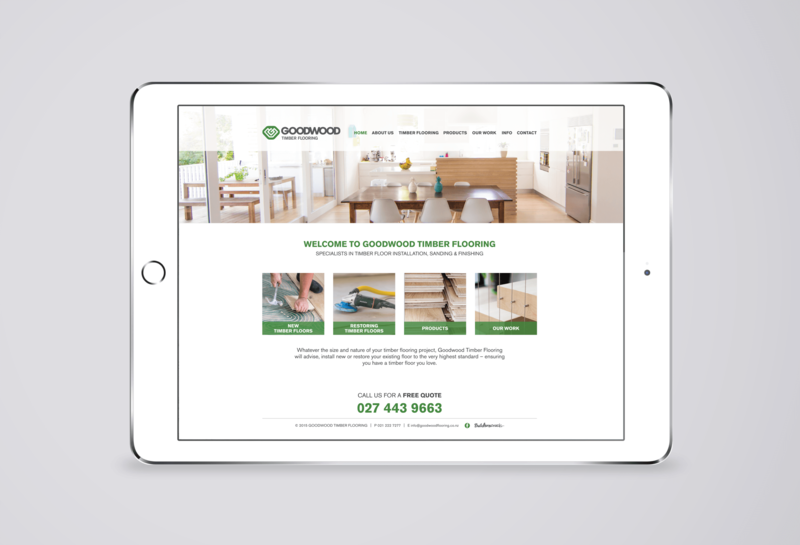 I was inspired by bold shapes that denote strength and the natural lines of timber. 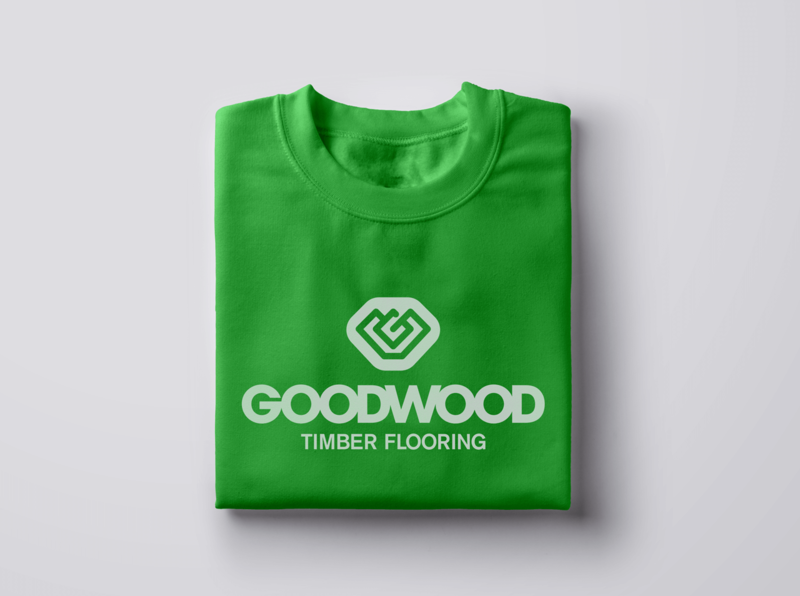 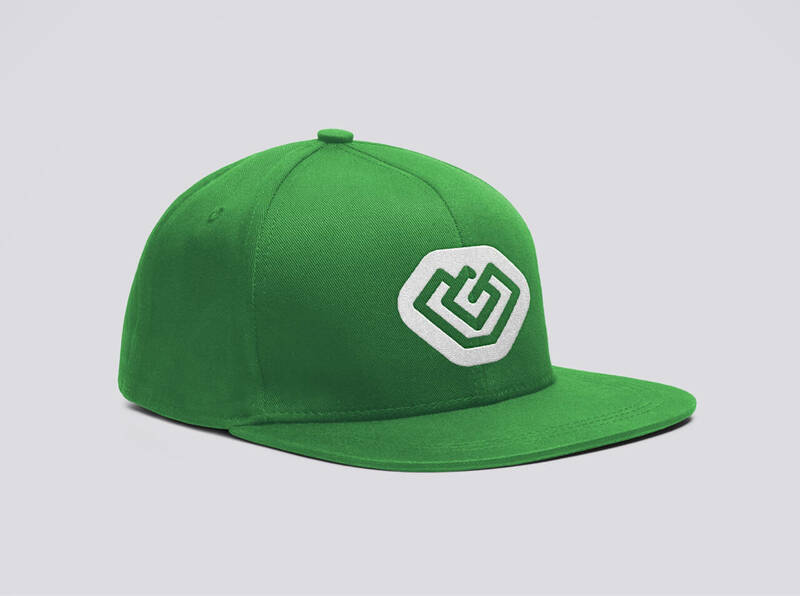 By combining the letters G and W from Goodwood the logo has a parquet floor feel and the use of green represents the company’s interest in being eco friendly.